Battlefield 1 is killing it right now. I've been playing the newest DLC pack, They Shall Not Pass for my review (spoiler alert, it's excellent), and as its getting ready to go live for non-Premium players, DICE announces their new plan: Premium Friends. Essentially, this allows people to share their DLC with their friends. If a player in an in-game party is a Premium player, the entire party will be marked as "Premium Enabled," and the whole group gets access to the maps. However, they only get access to the maps. 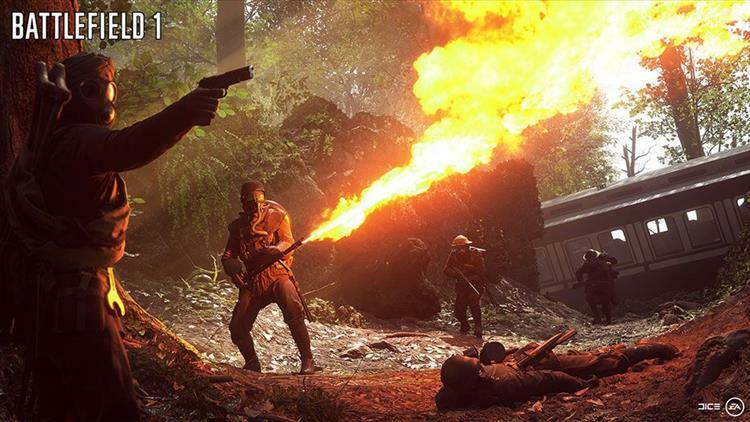 Non-Premium players will not receive experience from their time on the DLC maps, and they won't have access to the new weapons and vehicles added in the DLC, or the new medals and codexes. So while it isn't a free ticket for the DLC train, it's still a really cool way of letting people try the Premium content and continue to play with their friends. DICE says they are starting a test run for the new feature tomorrow, March 30, to correspond with Battlefest. No definite date for full implementation has been given as of yet. You can read the official Battlefield Blog post here.